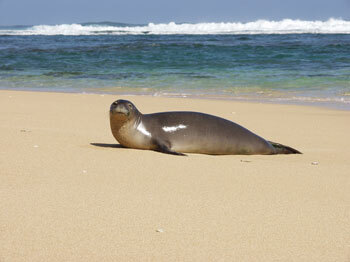 Tonight it was the Hawaiian islands monk seal that kept me up. It was eleven o’clock and I was turning the tv to a cartoon channel in case the boys woke up early. Somehow I landed on PBS and I was hipnotized into an hour about the monk seals. When the scientist found the feeding area I was just as happy as he was. I think it might make me a lame-o. Thanks to PBS I went to bed knowing the monk seals might have a chance to fight back from the endangered list.